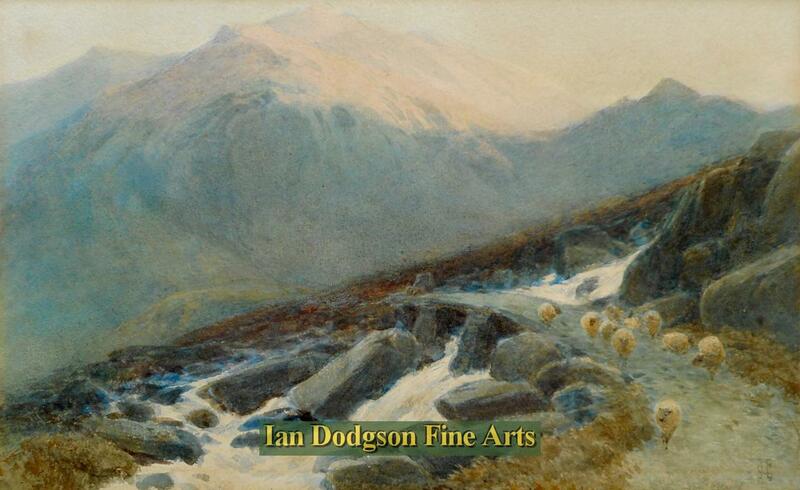 Ian Dodgson Fine Arts specialises in art from the mid-Victorian and Edwardian eras, although we also offer for sale, paintings from outside this period that we consider to be of merit. We are pleased to announce that our paintings can be viewed at Crochendy Bethesda Pottery, High Street, Bethesda, Gwynedd and also at Youdells Fine Art Gallery, Kendal, Cumbria. If you require any more information, then please do not hesitate to contact us. Signed and titled with artist address in pencil on reverse, Original slip new Gold rim. Inscribed with title and dated verso. James Henry Crossland R.A. R.C.A. James Jackson Curnock ARCA, RA.